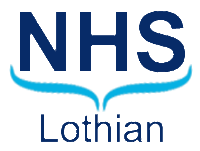 Forward Mid have contacted educational establishment and other companies that supply training and educational courses across Midlothian for everyone. 37 years on, over 82% of the households in the UK now have a computer in their house, and as computers evolve to keep up with the computer revolution we will have re-educate ourselves regularly just to stay in touch. Forward Mid hope you can find the time to take a courses in this newsletter and find time to learn a new skill and be able to put it to use before it is outdated. Not all the courses have fees attached, If you talk to the course provider they will tall you what to claim for to get the course you wish to study and help you apply for funding this includes child minding fees. Hope to see you on one of the courses. There are two terms and all courses run for 10 weeks unless otherwise stated. Three opens days have been arranged to help you to choose something that is suitable to you. To enrol in a class, Community Learning and Development enrolment forms can be found in all Midlothian libraries. You can enrol at any of the open days (see beginning). If you require access or support please call 0131 271 3625 to discuss your requirements before enrolment. You must enrol before 11th September 2014. 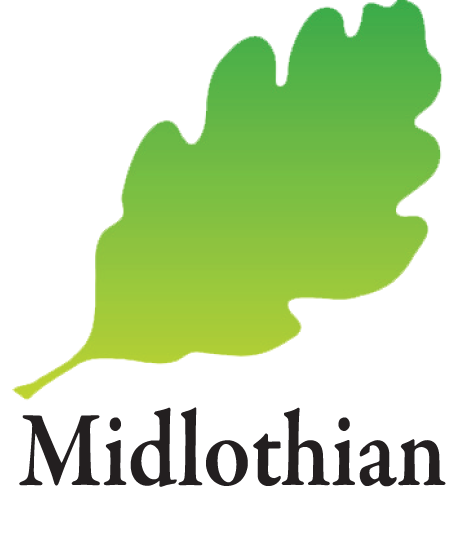 This offers free courses across Midlothian. Community Learning and Development will be focusing on providing support to those returning to work, practical parenting, classes for the over 50s and ageing well. They also have a range of short courses including CV writing, interview techniques, job-seeking and some qualification courses to enable you to seek work. Helping adults to progress through higher education. Progress through Learning Midlothian offers support to adults in Midlothian who want to go to college or university. It is possible to start your journey today - even with no qualifications. If you would like to brush up on all aspects of spoken or written English or everyday maths, Community Learning and Development run courses at local venues across Midlothian. For more information contact Tel: 0131 270 8900 or Tel: 0131 271 3713. All libraries in Midlothian are wheelchair friendly. Midlothian libraries run computer training in friendly groups. If you would like to learn more about computing or feel that you need additional help just to get started, Midlothian Libraries IT Side Kicks are available. You can gain confidence with one-to-one tuition. Ask in your library for more information. Open day at The University of Edinburgh’s Easter Bush Campus. A chance to get inside The Roslin Institute and Veterinary Teaching Buildings and find out more. Come along to this gala day for fun life science shows and great activities. See live neurosurgery, make DNA jewellery and climb inside a giant zorb ball model of a cell! This is an exciting astronomy talk with hands-on fun, presented in association with the Royal Observatory of Edinburgh. The event starts at 18:30 but the end time is dependent on the weather. This event will be ticketed. The event is BSL interpreted. The venue has both disabled access and disabled toilets. For more information visit the midlothiansciencefestival.com/ website (not suitable for the visually impaired) or ask in your local library. Celtic culture/ History/ Heritage / Gaelic language for new and fluent learners. Edinburgh College offer Access and Continuing Education in a diverse range of programmes and support for a wide variety of learners. Whether it’s providing additional support needs, supporting adults who are returning to education, or helping school leavers in the transition to college, Edinburgh College is dedicated to meeting individual support and learning needs. Edinburgh College deliver a wide range of full-time and part- time courses, designed for people with additional support needs. These courses are delivered in smaller groups to provide a higher level of individual support. The pace of learning is tailored to make sure it meets the additional support needs of the learner. Edinburgh College recognise that, for some classes, extra teaching contact and support can mean everything in providing a positive, supportive, and rewarding learning experience. In these classes, Edinburgh College provide an Additional Support Worker - here to work alongside the lecturer to make sure every individual gets the support they need. This also allows the class to take part in rewarding activities out with the College, as well as allowing technical subjects to be arranged safely. All Edinburgh College courses provide an opportunity to gain recognised qualifications and valuable experience. There are clear progression routes, whether it’s moving on to another course of study or seeking employment. Many of the courses provide an opportunity to do a work experience placement in an area of choice according to interest and future plans. Edinburgh College offer a substantial and exciting range of Adult Returners courses. These are designed for you if you’re looking to return to education after a break. The courses will offer you all the support you need to make that link back to education - whatever the reason for your break from education, Edinburgh College is here for you every step of the way. With Edinburgh College Full Time Access and Continuing Education Courses, you’ll be supported by your dedicated Learning Development Tutor. This person will be your main contact for the duration of your course, here to support you to make sure you’re getting the most out of your time at the College. Edinburgh College also offer a substantial Mental Health Outreach programme. This is available at a number of locations within Edinburgh and the Lothians. Access is typically by direct referral from an appropriate medical practitioner. Whatever you’re learning and support needs, you’re sure to find a course at Edinburgh College to suit your interests and future plans. Edinburgh College have four campuses around Edinburgh. Granton Campus is situated in the North of Edinburgh. Milton Road Campus is situated in the East of Edinburgh. Sighthill Campus is situated in the West of Edinburgh and the Midlothian Campus is situated in Hardengreen, Midlothian. You can study at Edinburgh College in a range of ways. You can study at the College during the day or in the evenings, at home at your own pace, or in a work-based environment. Full-time study of a National Qualification (NQ) and other non-advanced courses generally requires you to attend college approximately 20 hours/3.5 days per week for a year. Edinburgh College also offer full-time courses starting in January which run for 6 months, as well as some short courses which could run for 8, 10 or 12 weeks. Full-time study of Higher National Certificate and Diploma (HNC/D) courses requires you to attend college approximately 15 hours/3 days a week. Full-time HNC courses run for one year. Full-time HND courses run for two years starting in August/September and finish in June. Edinburgh College offer a range of part-time advanced, non-advanced and leisure courses. Part-time courses are designed to fit around busy lifestyles and commitments such as work/family. They may be delivered during the day, around school-times or in the evening. Please see the course listing for details. Most part-time courses start in August/September - however Edinburgh College also offer part-time courses in January and throughout the year. Edinburgh College evening and leisure courses usually begin in September/October and again in January each year. The programme covers a wide range of skills and knowledge, from HNC/Ds to short courses in subjects such as computing and foreign languages. Courses can last from one half-day to a weekly class for one year. Flexible and open learning courses allow you to study at a place and pace which suits you. These courses are ideal if you have commitments and are unable to attend college regularly, or if you have been out of formal education for some time. Edinburgh College have a range of flexible learning courses which you can study at home or at one of the Edinburgh College campuses. You can start such a course anytime throughout the year. A tutor will provide regular guidance and support. You may be required to attend college occasionally for practical work or assessments. “If you haven’t studied for some considerable time I would suggest trying an NQ Access to Work Course. This will allow you to discover how studying is done now - and in a friendly atmosphere too.” - Iain Tait, former student. Edinburgh College are currently offering courses on an outreach basis and also offer ECDL distance learning programmes. Study at home with support from a tutor in college is available if you need them. You will only be required to come to the College to sit any tests or exams. LCiL offer free courses and one-to-one support for disabled adults and people with long term conditions living in the Lothians. Living and Work Choices Course – designed and delivered by experienced disabled trainers. This course is all about fulfilling your potential and supporting you to gain confidence and practical skills to achieve your life goals. Essential Employer Skills Course – this is a three day course, spread out over 2 weeks, that provides disabled employers of PAs with an understanding of the essential responsibilities and roles required of a good employer. Other courses are also available for disabled people, people with long term conditions and older people. These workshops are designed to offer people the opportunity to explore the barriers in developing their self-confidence and determine practical methods of addressing these. This course would suit disabled people and people with long term conditions who want to speak out for themselves and find out the best way to do this. This course would suit disabled people and people with long term conditions who would like to find out about what self-esteem is, explore how our self-esteem can be hurt by other people, or things that have happened, and look at ways of feeling better about themselves. This course would suit disabled people and people with long term conditions who find it difficult to assert themselves and are interested in finding out about how to develop assertiveness skills. This course would suit disabled people and people with long term conditions who want to be able to assert themselves when faced with very ‘helpful’ people. This course would suit disabled people and people with long term conditions who are/will be responsible for staff, or who just want to develop assertiveness skills in this area. This course would suit disabled people and people with long term conditions who want to find out more about ‘good’ communication and explore some of the barriers. These courses will be run at regular intervals, dependant on interest – contact the training team for more details. Please also check the news and event section for any upcoming courses. If you have any specific requirements, or have identified barriers to participating in LCiL training, please let us know and we will be happy to discuss possible solutions. Places are limited and booking is essential. If you would like to request a booking form please contact Jill Marsh: Email: jill.marsh@midlothian.gov.uk - bookings must be recieved by 15th August 2014. You will only be able to attend one of the following workshops in the morning. Please indicate your 1st, 2nd and 3rd choices. You will be able to attend one of the following workshops in the morning. Please indicate your 1st, 2nd and 3rd choices. You will be able to attend one of the following workshops in the afternoon. Please indicate your 1st, 2nd and 3rd choices. This course aims to provide information on the key aspects of dementia and how it can affect people VOCAL care about and to inform carers about the illness, symptoms and treatments. To explore the challenges carers have in managing a loved one living with addiction and how to it affects you as a carer. Find out more about your bills, meter readings, ways to pay your bills, switching supplier etc. Learn more about Self Directed Support and how it could benefit the person you care for and yourself. To explore and gain awareness of drugs & alcohol on young people and how to communicate with them effectively. For some this can be the most stressful and saddest time of the year – come and learn some survival hints & tips. Welfare Rights: Weekly on Mondays & Fridays Various times available (1 or 2hr appointments), benefits checks and assistance to complete benefit forms etc. Power of Attorney: Held monthly. Various times available (30min appointments).Advice on PoA, help to draw up documents and register with the Office of the Public Guardian. Legal: Held every 2 months. Various times available (30min consultation). Information on wills, trusts and guardianship. Energy: Held every 1-2 months. Various times available (45min appointments). Help with bills, tariffs and how to get the best deals on your energy. 9th Sept – 11th Nov, 10:30 - 12:00 at tbc - carers are lead in fun singing sessions. Parent Carer Coffee Morning, Thursday 4th Sept 10:00 - 12:30 at St. Mungo’s Church Hall, High Street, Penicuik. Enjoy a cuppa with other carers and the chance to try taster sessions. Christmas Coffee Morning, Thursday 27th Nov 10:00 - 14:00 at Midlothian Carer Centre. Come along, relax and enjoy some time for you before the festive period. Craft Circle – card making Autumn (tbc) at Midlothian Carer Centre. Come along, relax and enjoy some time for you whilst creating your own cards (no skills required). Working in partnership with Forward Mid volunteers and local library staff, a library hub/ information point for disabled people has been established in Dalkeith. Further hubs will be placed in Penicuik, Loanhead and Newtongrange Libraries by the end of August. Forward Mid plan on a future roll out to cover all library locations by the end of the year. If need can be identified we may organise some drop in information sessions of a peer support type model - perhaps working in partnership with Local Area Co-ordinators and other relevant Health/Social Care staff. Having trouble viewing this web page, If you would like a style sheet to suit your needs and live in Midlothian. Contact us and we will meet with you and design you a style sheet.